Fine Wine Decanters & Wine Carafes, Decanter Dryer Stems & Brushes. 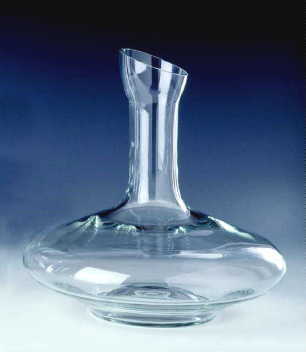 Crystal wine decanters or wine carafes usually come from Italy or China. They are either called carafes or simply a wine decanter. Be careful when purchasing them as many are flawed. We buy at the import source. We also reject 65% of all we examine! Guess who gets shipped the remaining ones? ?